We took the afternoon to play tourist and see some of the local sights around Rio. 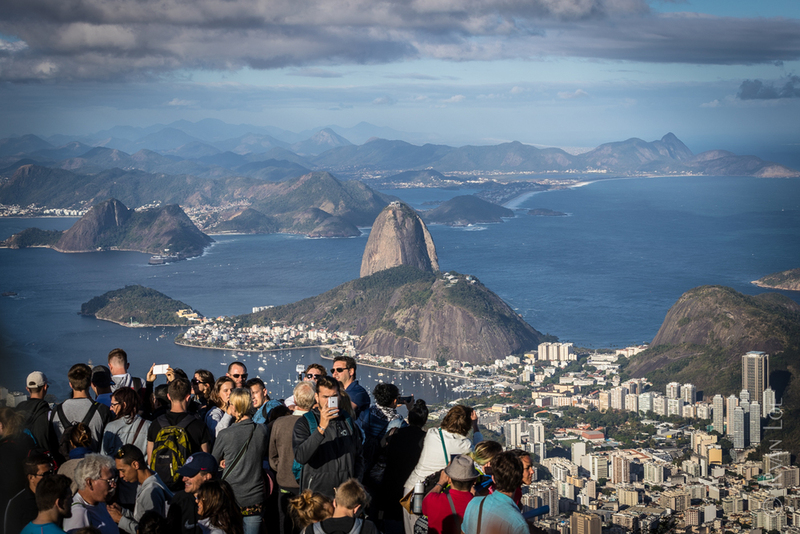 Our two destinations that we chose to visit were Sugarloaf Mountain and Christ the Redeemer statue. 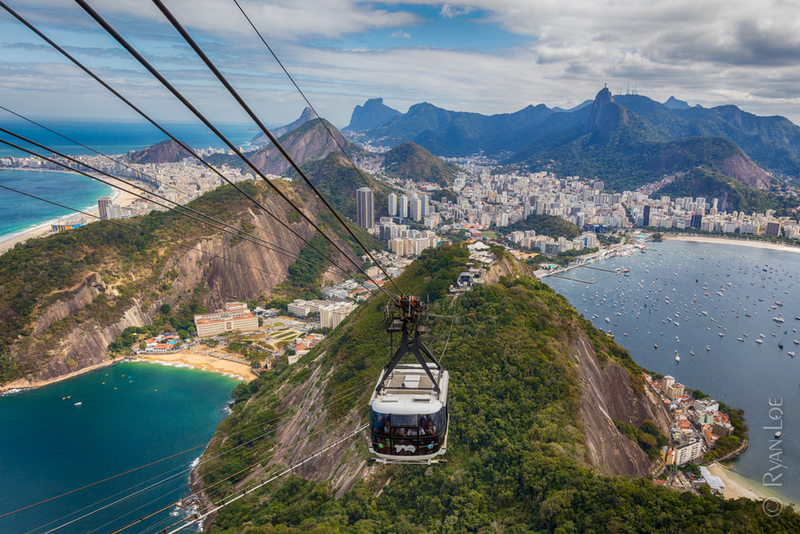 To get to Sugarloaf Mountain you have to take two glass walled cable cars to get to the 396 meter (1,299 ft) peak . It sits at the edge of Guanabara Bay on a peninsula that sticks out into the Atlantic Ocean providing panoramic views of Rio de Janeiro. Sugarloaf Mountain trivia - In the James Bond film, Moonraker, the villainous henchman Jaws attempts to kill 007 (Roger Moore) and Bond Girl, Dr. Holly Goodhead (Lois Chiles), on one of the cable cars. Luckily, they escaped leaving Jaws in the cable car to collide with a building at the bottom, which he somehow survived unharmed. Christ the Redeemer (Cristo Redentor) stands 30 meters (98 ft) tall with an arm span of 28 meters (92 ft) - which for comparison is two-thirds the height of the Statue of Liberty. It sits atop the 700 meter (2,300 ft) Corcovado mountain overlooking the city of Rio de Janeiro. It is listed as one of the seven wonders of the world since it was built between 1922 and 1931.